She certainly does expect timely prompt noms! She is indicating with her ear how many minutes we have to bring her a top-quality bunny meal! Woe betide any hoomin that fails to bring it in that time! She does look quite indignant that we are standing in front of her gawping when we should be scuttling! "Why am I still seeing you, but no food, HOOMIN?!" Auntie Jane, I did receive your "message" this afternoon. I must admit, when you mentioned some message you'd tried to send me here, day or two ago, I didn't have the faintest idea what you were on about, so I couldn't comment on it! So that's what he was upto?you realise Fleetie you have been adopted now by a bun of discerning taste?welcome to the family...the extended family. Ha ha! I'd better try to be a good hoomin! I don't want to get Disapproved Of too much! I'm only hoomin, after all! Marvelous! Another bun enters the pantheon of Disapprovers! Thanks for the link. My nap, my nap! I kept dreaming T was saying, "Yes, that sounds like a PERSONAL problem to me." It was terrible, terrible. 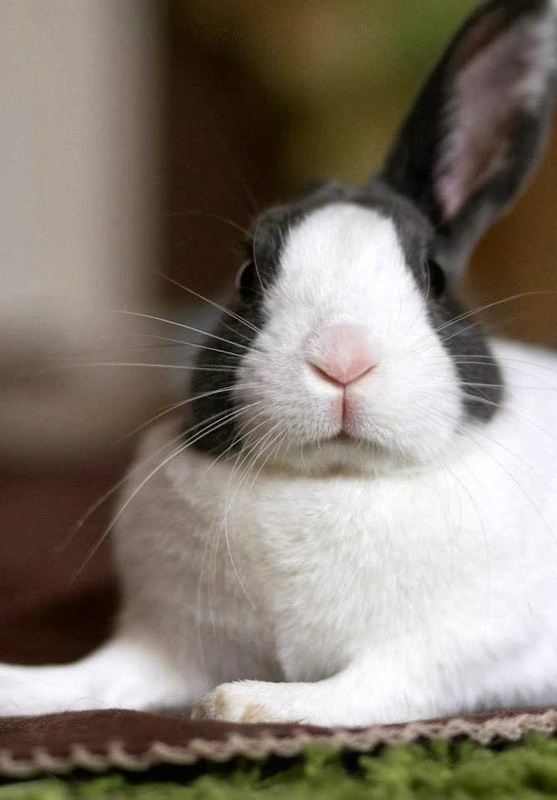 By the way, when bunnies say "personal" it never refers to them. It is always a "person=hoomin" whatever. What an imposing bunn! When Tallulah's other ear goes down, it clearly will be all over for hoomins. Make it snappeh if you want to see the weekend. OMG its a female Thumper!My last bun Thumper was a black and white dutchie,and my god was he bossy and grouchie,we had better snap to it or we will be for it with Tallulah if my experience with Thumper is anything to go by!